The Chinese company has started teasing a new phone in its official Weibo Page. 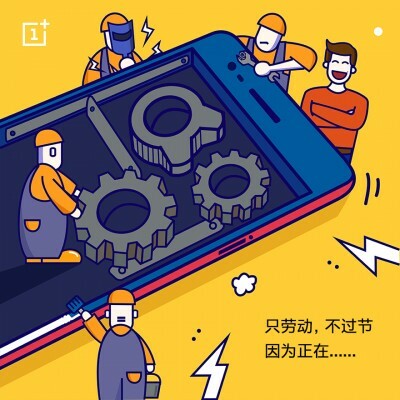 OnePlus has posted the below image and the CEO Pete Lau reblogged it. If you just give a glance at the image, you will know that the firm is teasing its new, forthcoming smartphone. The image simply shows off a couple of guys building a new smartphone, including the firm’s ‘Never Settle’ hashtag. Overall, it looks to be the first official OnePlus 5 teaser. The Chinese firm will be launching its OnePlus 5 smartphone soon. Since the OnePlus 3 and 2 was previously unveiled in June and July, respectively. So we should be learning more about it in a month or two from now. Most of you may be wondering, why the firm has branded its new device as OnePlus 5 instead of OnePlus 4 because the number 4 in Chinese culture is identical to number 13 in western culture and so it’s often skipped. According to rumors, the device will sport a 5.5 QHD display and also latest Snapdragon 835 chipset. The device is expected to have a 3,000mAh battery with 6GB or 8GB RAM and up to 256GB of internal storage. Besides all these, it also said to be equipped with a dual camera as well. Two days back we reported that some alleged pictures have been spotted which are likely to be clicked from OnePlus 5. Anyway, there’s still time and we will get more leaks on this device. Until then stay tuned to Rayarena.